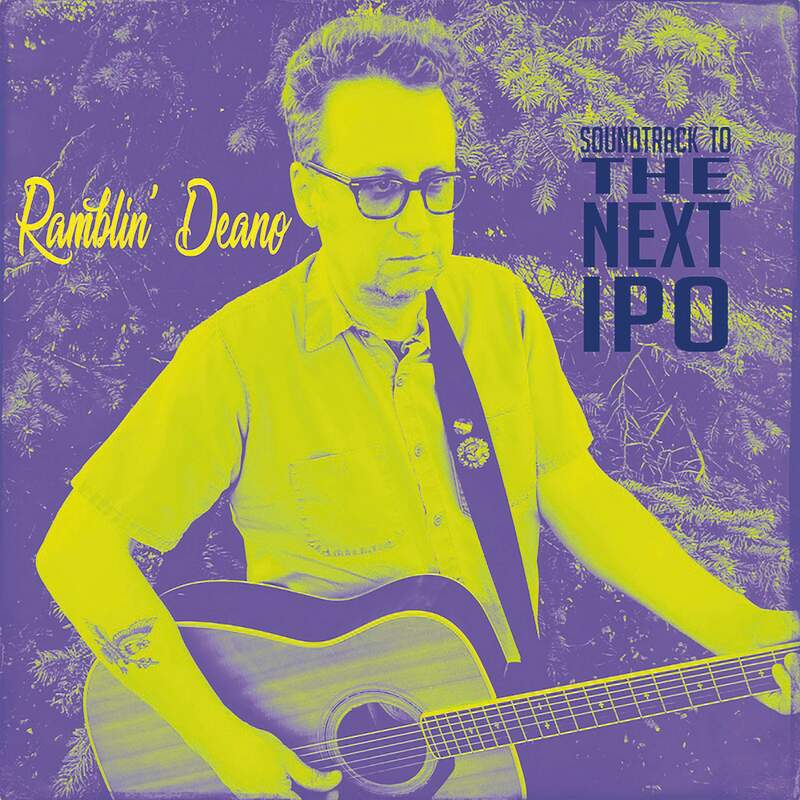 Ramblin' Deano, "Soundtrack to the Next IPO"
Go where you’re wanted. It’s a simple business model for musicians, one that may work better for touring solo artists than bands. It’s what Dean Schlabowske, aka “Dean Waco,” or “Ramblin’ Deano,” is learning as he takes his solo act to cities around the country, Durango included. Ramblin’ Deano will stop here for a concert on Saturday, organized by local radio outfit KDUR, the station this writer works for. The songs of Ramblin’ Deano are protest tunes played out via aggressive folk music and intelligent blasts of acoustic punk. It’s fitting, coming from a founding member of the Chicago insurgent country band Waco Brothers, a group of barroom misfits with rowdy musical prowess. The Waco Brothers have been flying an insurgent country rock and roll flag for decades. For the last year or so, Ramblin’ Deano has also been doing the acoustic folk thing, and is always ready to heckle the political climate, which has made itself super heckle-able. Schlabowske – who has toiled in the music industry for many years in not only the Waco Brothers, but rock band Dollar Store, and his ’90s noise rock band, Wreck – continues to find ways to adapt to the fickle music business. He’s been an integral part of several records – a few with Wreck, even more with The Waco Brothers, a pair in Dollar Store, and two under his belt as Ramblin’ Deano. Under Deano, he puts out lo-fi, DIY music that’s as lyrically funny as it is thought-provoking, guided by a desire to crank out a song or album whenever he damn well pleases. He addresses a wealth of hot-button issues, including the abundance of low-hanging fruit from the White House and its current tenant, but it’s not just White House commentary. Ramblin’ Deano also takes on things that need addressing, like the pay gap between men and women, or things that hit close to home, like how the music business and technology – i.e. streaming services – financially screws the musician.